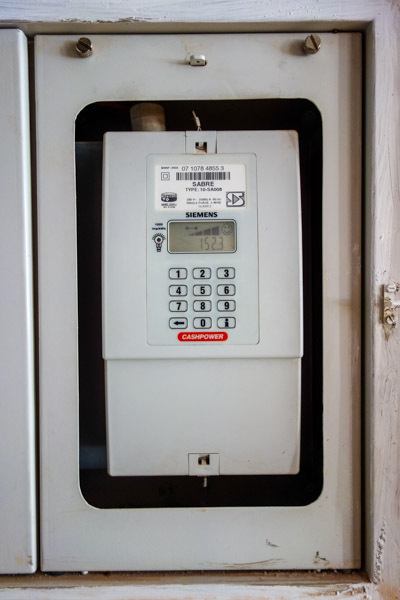 A trend in South Africa is to offer prepaid electricity. You top up by going wherever electricity is sold. We go around the corner to the gas station, pay as much as we like and get a token. The token is then entered in the machine and you get more kilowatt hours to work with. I think the purpose is for people to start monitoring their usage more regularly and be more aware of their energy usage. Pretty cool if you ask me. We already find ways to turn things off so we don’t spend as much. One of our startups, Homebug, is targeting this exact community of people in SA. There are roughly 4 million users of prepaid electricity. Homebug is a device that is installed next to the prepaid meter that is able to track your energy usage. The hardware then wirelessly uploads your information to their servers where you are then able to access usage charts. It has been shown that by actively monitoring your energy usage that on average you will save yourself up to 20% on energy costs. Cool stuff.